CW92: Super Saturday was billed as the promotion’s biggest and most ambitious card in recent history, and it’d be hard to find anyone in attendance at tonight’s sold-out Indigo at the O2 arena who’d disagree. Nathaniel Wood, London’s hometown hero and Bantamweight Champion, knocked out Luca Iovine in the first round to defend his belt in another incredible addition to his highlight real. Wood’s future is now near undeniable – he has laid waste to some of the top competitors in Europe, and with hundreds of his fans chanting ‘UFC’ from stands tonight it’s no secret where his sights will be set. Heavyweight Champion Mauro ‘the Hammer’ Cerilli also retained his belt in spectacular fashion with a knockout over Ireland’s Karl Moore, landing a fight-ending shot just 15 seconds into the first round. Online hits on the clip of this devastating blow are climbing into the tens of thousands, as the world stands up and takes notice of Italy’s world champion Cerilli. In a battle for the flyweight title, Nathan Greyson pulled off a comeback win over Sam Creasey to become champion in front of a home crowd. Creasey looked to be up on the judge’s scorecards in opening rounds, but Greyson’s power and technicality won through late in the third as he rained down a vicious barrage of shots from top position to stop the fight. The CW92 championship winners weren’t the only ones to make serious statements on tonight’s card. 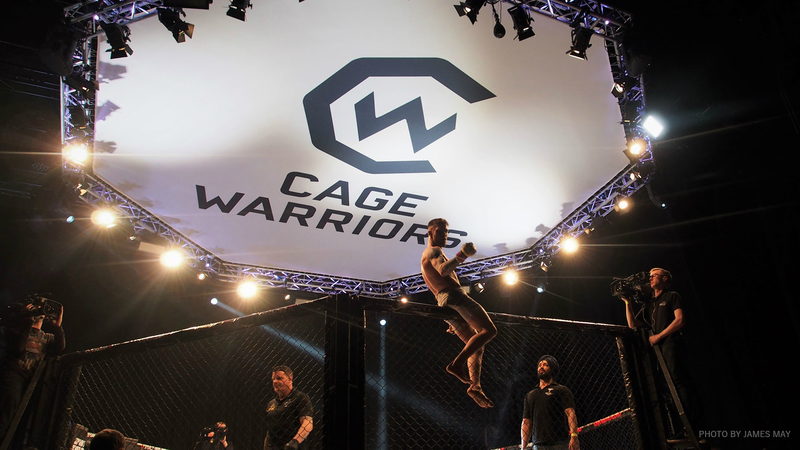 Welsh prospect Jack ‘Tank’ Shore went three tough rounds with UFC veteran Vaughan Lee, showing composure and skill beyond his years to defeat the American via decision and stake his claim as a top bantamweight contender. In the Welterweight division, Craig White submitted Alex Montagnani via triangle choke to move one step closer to title contention. Now with four wins in a row, few could argue a shot at the belt is undeserved. Other highlights included an impressive knockout win for Mehrdad Janzemini and a non-stop fight of the night contender between Dean Trueman and Corrin Eaton.